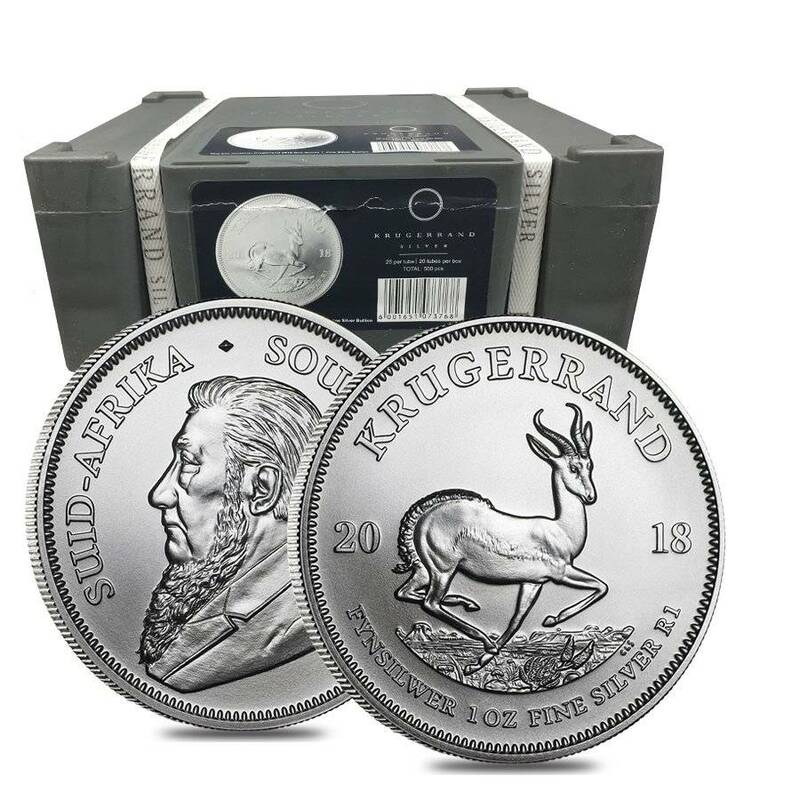 The 2018 Krugerrand Silver Coin continues the new coin line from the South African Mint after the release of the massively popular 2017 50th Anniversary Silver Krugerrand. This is the first year that it is released as a bullion coin. The South African Mint is famous for minting the first real bullion coin of the modern era with the release of the Gold Krugerrand in 1967. The addition of this silver coin to the Krugerrand family of coins is monumental. 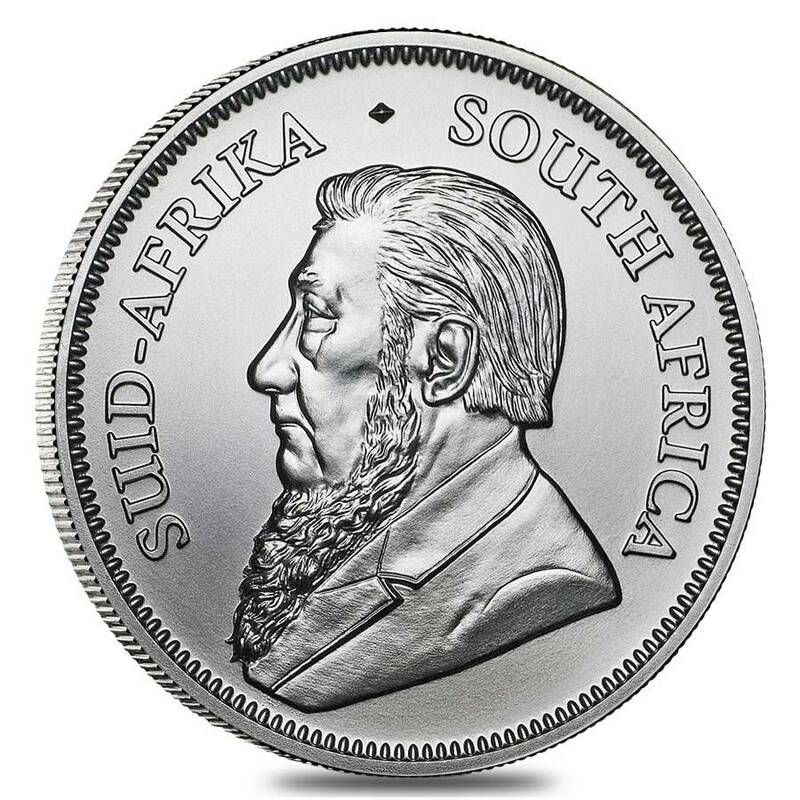 The obverse features the left facing profile portrait of Paul Kruger who was the leader of South Africa in the late nineteenth century. This side of the coin also features the inscriptions “SUID-AFRIKA” and “SOUTH AFRICA” across the top of the coin. The reverse depicts the Springbok in mid-gallop across the South African savannah. The springbok is the official symbol of South Africa. Other inscriptions on this side of the coin are “KRUGERRAND,” the year of mintage “2018,” and “FYNSILWER 1 OZ FINE SILVER R1” on the bottom of the coin. The 1 oz. Silver Krugerrand sports a reeded edge around each face and side of the coin. Individual coins come in plastic flips. Lots of 25 come in mint-issued tubes, and lots of 500 come in an elegant grey mint-issued monster box. 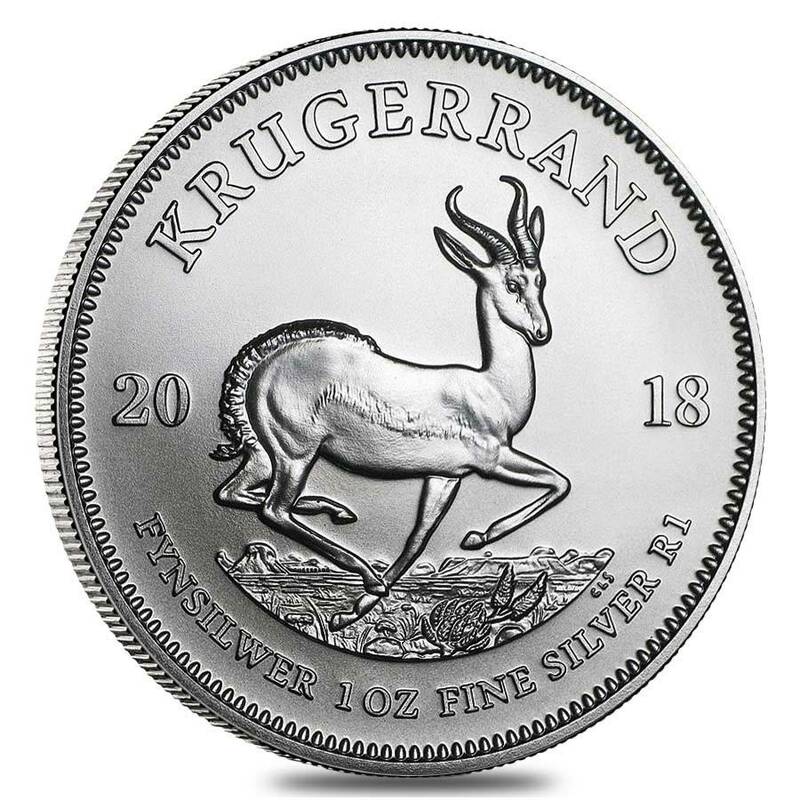 Bullion Exchanges is proud to bring you the 2018 Silver Krugerrand coin. Add this coin to your collection or investment portfolio today and it will be carefully packaged and shipped to you. If you have any questions about this coin or any other product in our catalog, please reach out to us by using our convenient website chat or by sending us an email to customerservice@bullionexchanges.com and our friendly associates will be happy to help you. Love the design, finally, they started minting them in silver! The First Ever.. A must-have! August can't come soon enough! Ordered a few for my mates, thanks BE! yes! so glad it's finally coming out! This 1 oz Silver Coin with a low premium and great quality! I'm a long time customer and to treat myself I found something that caught my attention and I bought it! Great Find! Wow, after buying gold krugerrands for many years, I can add a silver one to my collection finally! Just pre-ordered these for my husband who loves collecting coins! Can't wait to see the look on his face when they come in a few days after his birthday! Thanks BE! Just ordered this for my husband, I know he's going to enjoy these since he's South African. Finally! What took them so long to make this coin? Ordered a bunch. Thanks Bullion Exchanges! 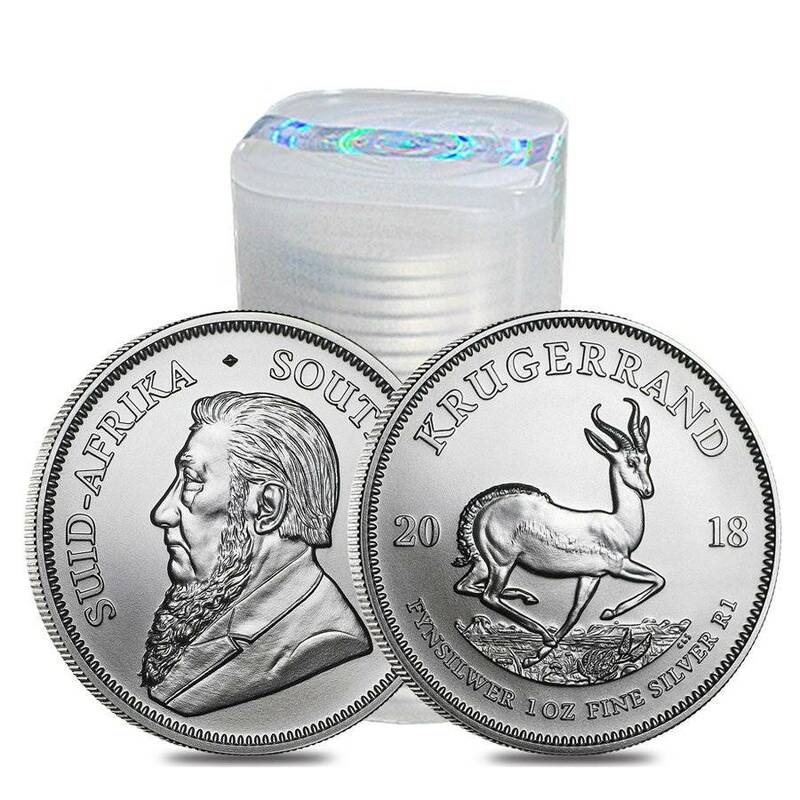 Lowest price I've found for these Krugerrands! Thanks Bullion Exchanges for the great prices and can't wait for them to arrive!! I've been waiting all year for this coin! I couldn't get it in 2017 when it first came out, so now I'm getting a bunch while the price of silver is low! Saw the $1.90 over spot and couldn't resist! 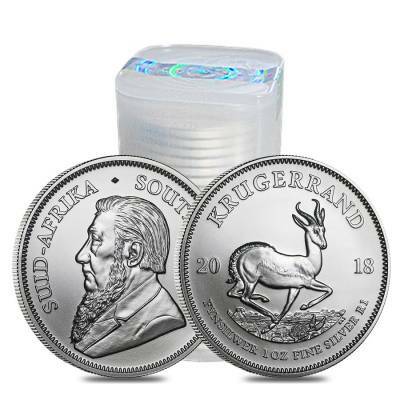 Love the Krugerrand series and can't wait for mine to come in! We currently have 27 of this item in stock.